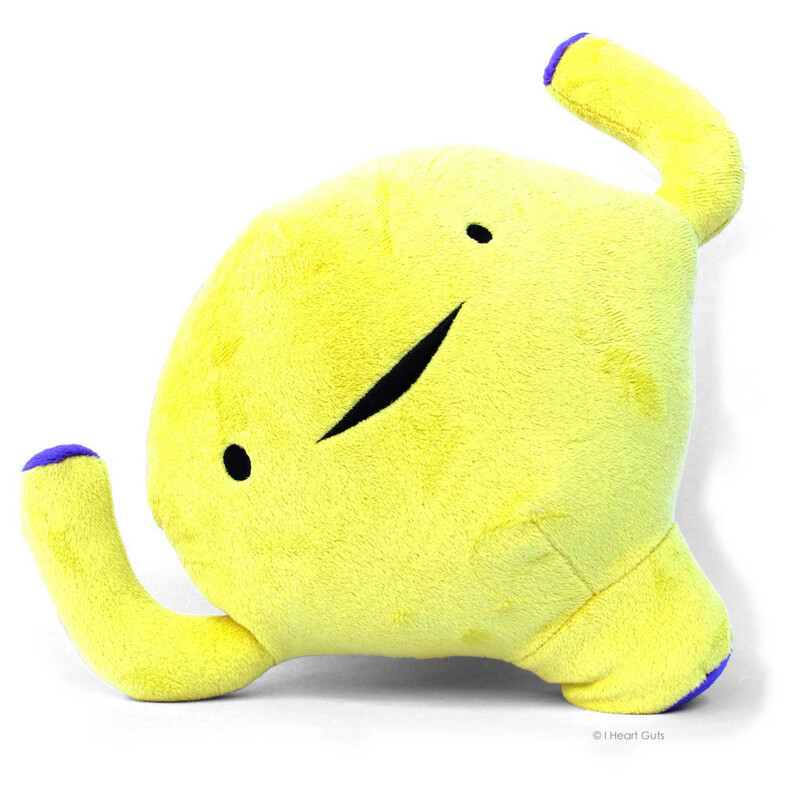 This super-soft bright yellow enormous 9" x 14" x 6" urinary bladder plush is perfect for telling someone when urine love, or explaining how to get aboard the potty train. The bladder stores your pee until you're ready to go! Most bladders hold as much liquid as a can and a half of soda. Drink up! Comes with a fabulous educational mini-book hangtag that describes your wonderful pee-holding pal.